It was the week of Vacation Bible School at church. And a crazy work week. 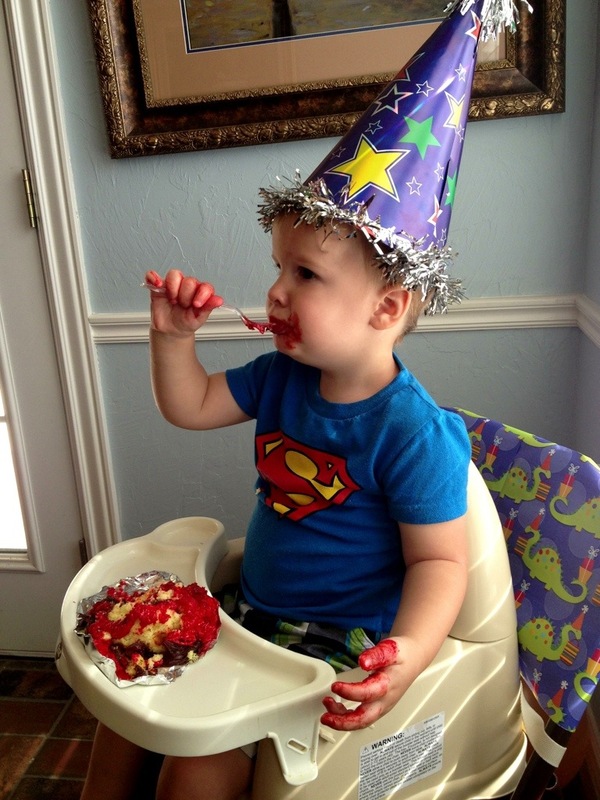 By the end of it, I was desperately wishing that Cam didn’t have so many allergies so I could just order a stupid cake and be done with it… and I was sincerely questioning my sanity at scheduling a party on such a psychotic week. 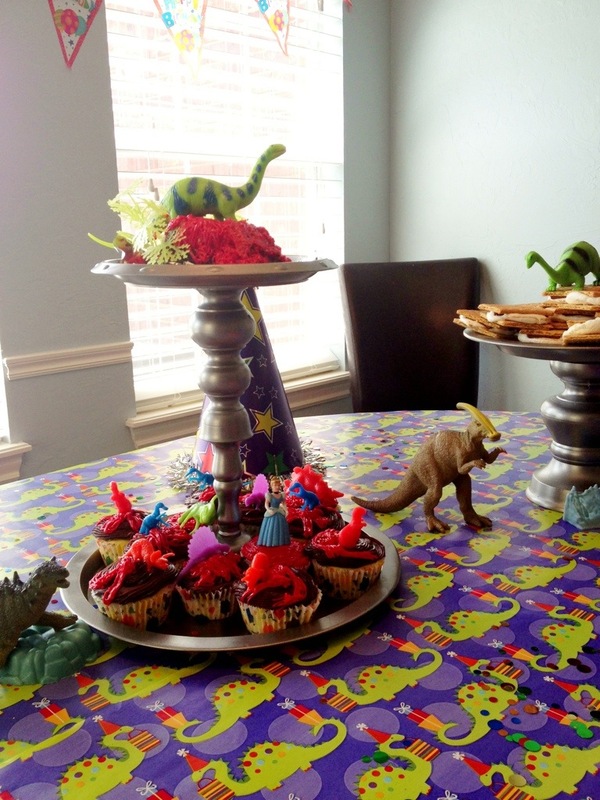 So I planned out an adorable party for Cam on Pinterest… then went to Walmart to find anything Yo Gabba Gabba related. Fail. In desperation, I glanced around and grabbed the cheapest pack of dinosaurs I could find. 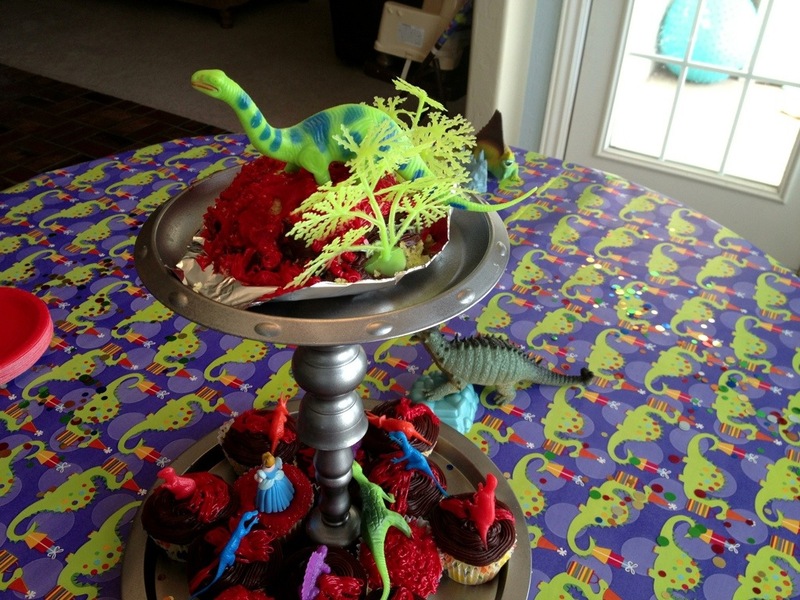 A Ghetto Dino Birthday Party was born. 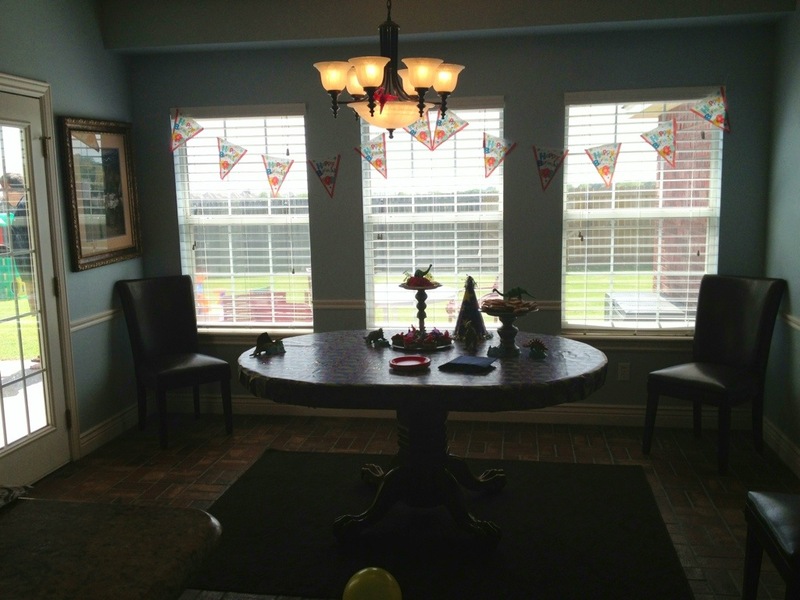 I used wrapping paper from Dollar Tree to cover the tables. 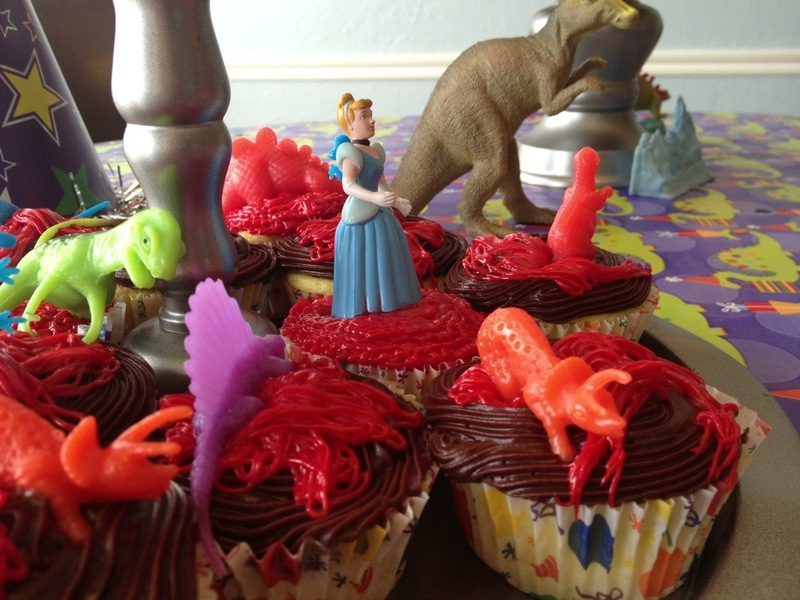 I used chocolate icing with red on top of that… hoping it would look like a volcano… slight fail. Did you see it? Hidden amongst the dinosaurs? 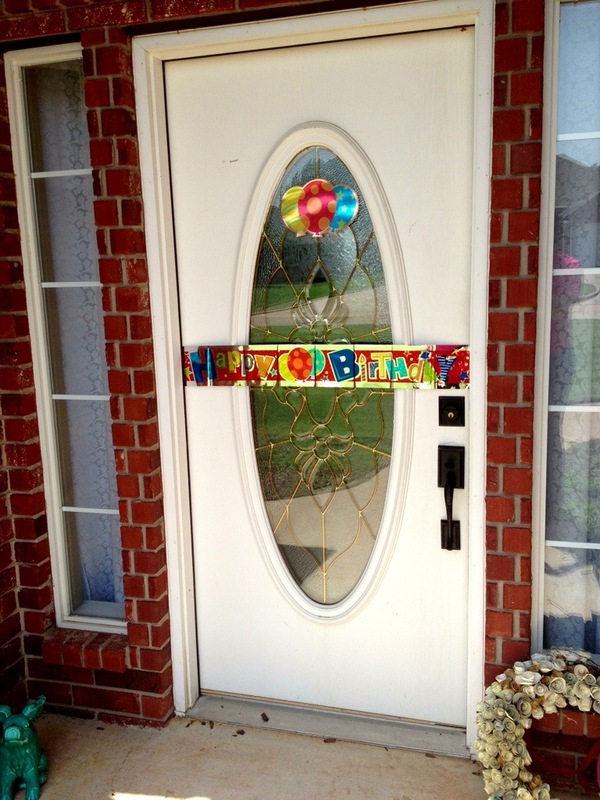 A little surprise for Claire. 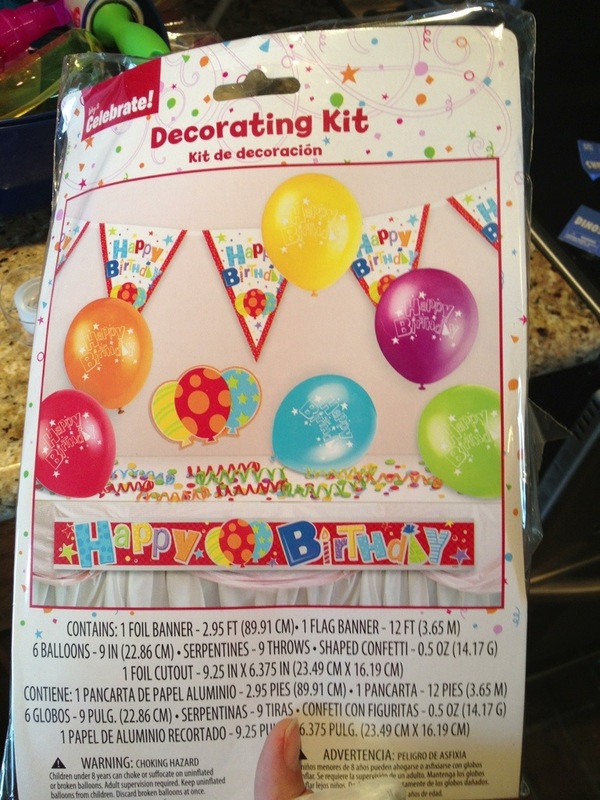 This is the $3.50 decorating kit I bought from Walmart. That’s right. Ghetto. 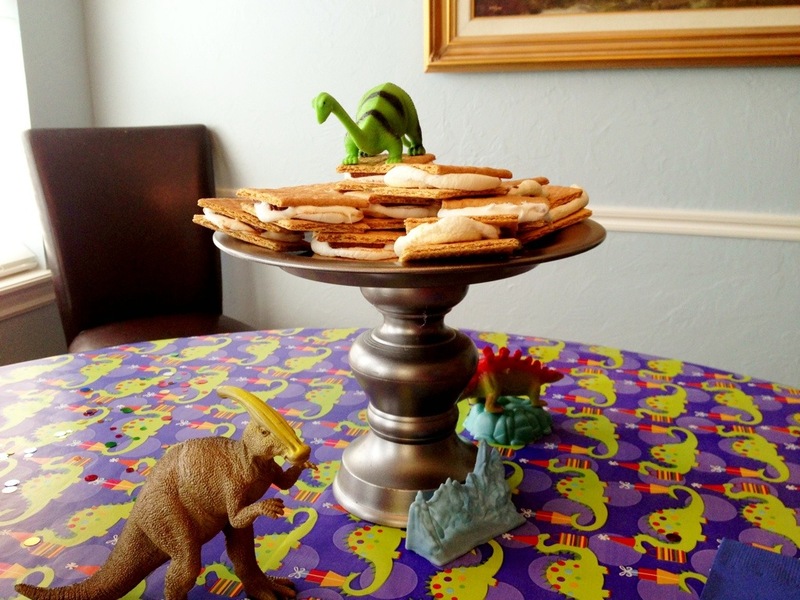 Ghetto Dino Party for the win!